One of the most exciting things about decorative finishes is the ability to fool the eye, completely changing the perception of the architecture in a given space with skillful faux finishes and clever design choices. We not only fool the eye by making one material look like another (for example, faux woodgrain), but also by manipulating the appearance of space and volume. The contrast between a stark white ceiling and the wall color of a room can cause the eye to focus on that horizontal line where they meet, making a room feel smaller. You can eliminate this effect by painting the walls, baseboards, and ceiling the same color, or colors of similar value. If your wall color is particularly dark, you may not want to paint the ceiling the same hue, but you can dilute the wall color by half and still reap the benefits of this approach. 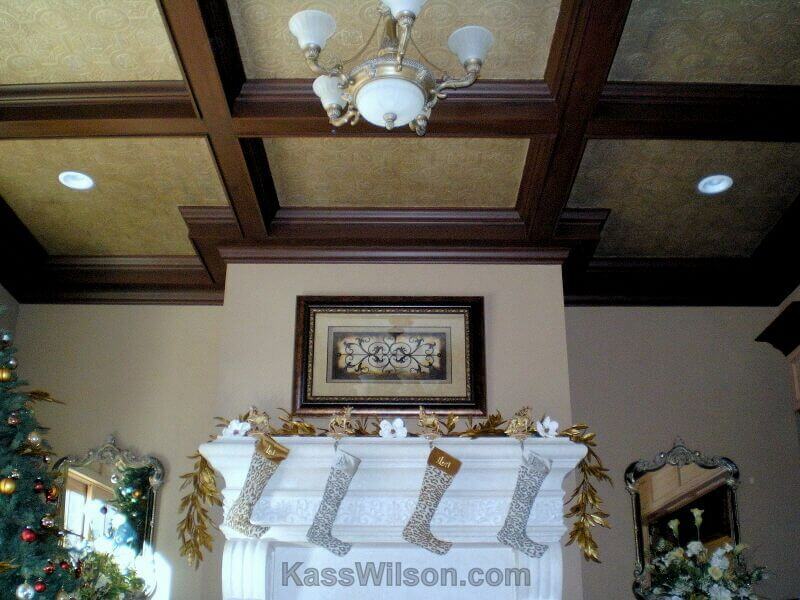 Just say no to white ceilings! 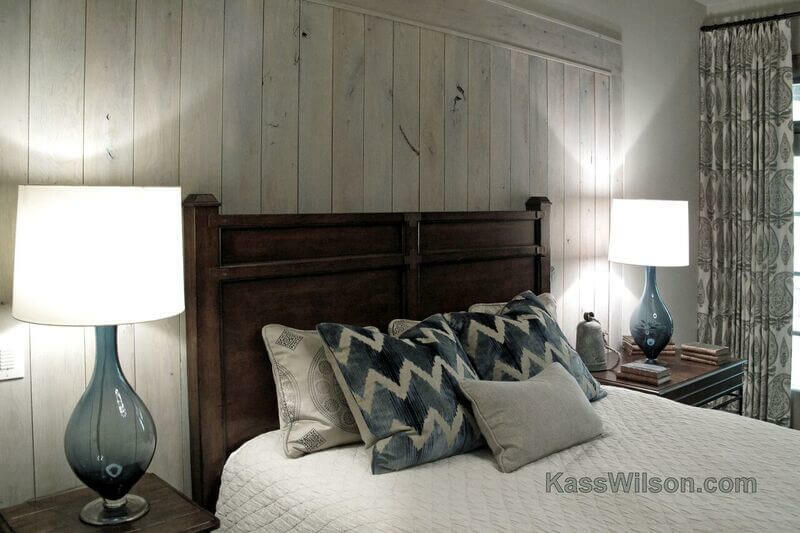 Embrace the vertical elements in the room and use them to draw the eye up and down, as opposed to side to side. For instance, tall, skinny bookcases, vertical pieces of art, panel window treatments that flow straight down, and vertical wall sconces can all serve this function. An interesting ceiling treatment can work alone or in conjunction with these other tips to help create a sense of height. 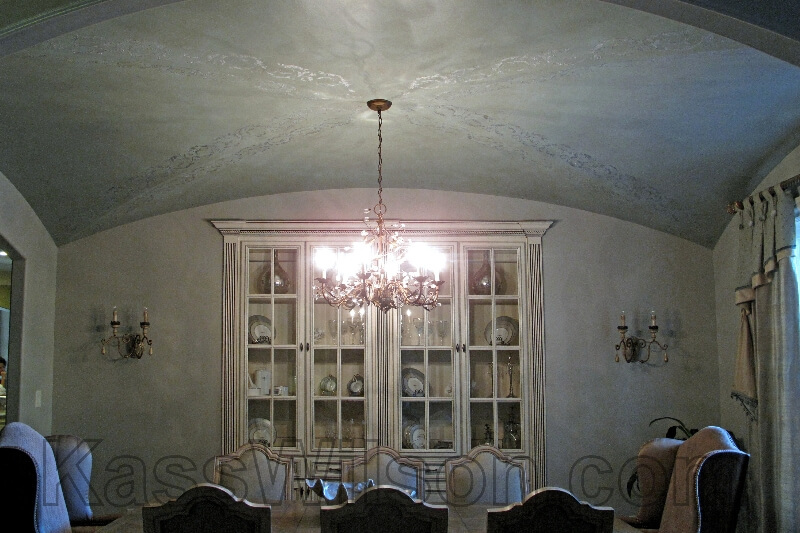 From metallic finishes to stenciled patterns, drawing the eye up will help visually “lift” the ceiling. Interested in learning more about how decorative finishes can transform interior architecture? Contact us today for information about our Atlanta decorative painting, faux finish, and cabinetry refinishing services.